The Russian government has returned Smolny Convent and Cathedral to the Russian Orthodox Church, according to a report from AsiaNews. 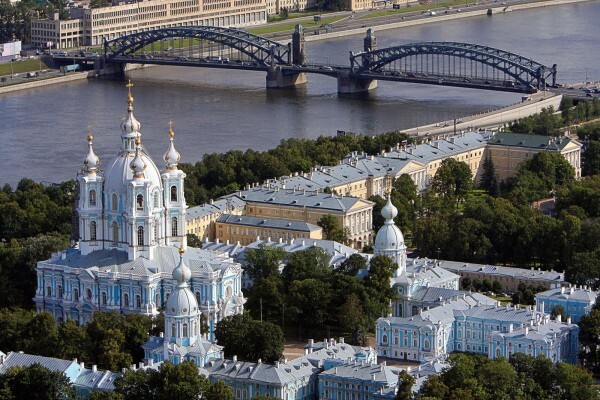 The convent, whose centerpiece is the cathedral, is located in St. Petersburg and was built for the daughter of Peter the Great as she entered religious life. Construction of the cathedral was completed in 1764. In 1922, the Communist government of the Soviet Union confiscated the church and turned it into a warehouse. In recent decades, it has been used as a concert hall, and worship at the site resumed in 2010.